To my friends and readers..Peace and Blessings. It’s been a few busy weeks since my last post, but thank God some of the madness has calmed down and I am back to the blog. It’s funny that sometimes I have something in mind I want to write…but then sometimes there is something He wants me to write. Tonight is one of those nights. To those who much is given, much is required. I speak from experience when I say this, as I was appointed a Manager’s position at work in the last few weeks and my work doubled overnight! I literally went from working 8 hours a day to at least 10 in the office and another 2 hours when I get home. Don’t get me wrong – this is a great opportunity, it’s challenging, and I am accomplishing a great deal. The Lord works in mysterious ways. When He has a plan for you, there is no way anyone can change it. For the most part, you can’t even mess it up. A series of events occurred that caused me to be in this position. I won’t go into all the details, but know that God can move things and people out of your way in order to bring you your blessing. I say this to say that someone out there may be working at a job or in a position for a long time and you may feel that no one sees what you do, cares what you do, or sees your worth. I am here to tell you God sees you so don’t be discouraged. If you want things to change, all you need to do is pray, believe, and trust the Lord to take care of things for you. It may not be overnight, but in His time you will be recognized and things WILL change. I read in my devotional yesterday that sometimes God locks all doors except one, so that you won’t go through the doors that will not take you where God wants you to go and so that you can only pass through to where he wants you to be. Many times we have plans for ourselves, but God has His plans for us. Jeremiah 29:11-13 says “For I know the plans I have for you,” says the LORD. “They are plans for good and not for disaster, to give you a future and a hope. In those days when you pray, I will listen. If you look for me wholeheartedly, you will find me. 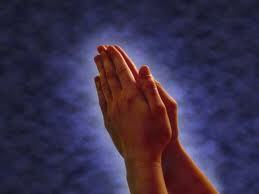 Friends, Prayer is the key to all things and prayer changes things. Go to the Lord and make the desires of your heart known to him and he will hear your prayers and answer them according to His will. When you truly trust and truly believe in Jesus Christ our Lord you will see Him make moves and changes in your life. I pray you stay encouraged and not discouraged and that you challenge His promises and see if he doesn’t make moves for you. Thanks for letting me use your article. 🙂 It’s soooo awesome! !